You’re likely to be asked whether or not you’ve done drugs, and there are ways to answer honestly that keep the emphasis less on you, and more on what you want for your son or daughter. You could explain that you tried drugs in order to fit in, only to discover that’s never a good reason to do anything. Or you can focus on the fact that drugs affect everyone differently, and just because your life wasn’t harmed by drug use, you’ve seen it happen to too many others. If you use tobacco and your child calls you on this, mention that you are an adult, and yes, you can do this since it’s legal – but you understand that you shouldn’t and it’s not healthy. Underscore how hard it is to stop as an adult and that you want to help your child to avoid making the same mistakes. You can do this, and we can help. You may even be able to use past experience to your advantage. If you think the conversation will be uncomfortable for you, imagine how uncomfortable it will make your son or daughter. Be prepared for them to say things to shock you, deny even the most convincing evidence, accuse you of distrust, and worse. Think about how you’ll handle an angry or resentful reaction from your child. 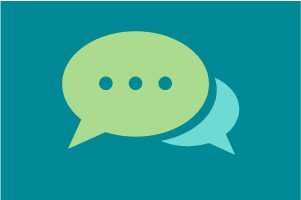 If you find the discussion is too emotional and not productive, figure out what you need to do to keep things calm before restarting the conversation. If you’re struggling, talk to a counselor to help you find de-escalation techniques that are effective and work naturally for you. Don’t forget to tell your child that you love him or her, and this is why you’re concerned. Before the conversation starts, think through which rules you would like to put in place, and what the consequences of breaking them will be. This can help clarify the goal of your conversation, and help you set a clear next step. For more tips, see advice on setting limits. 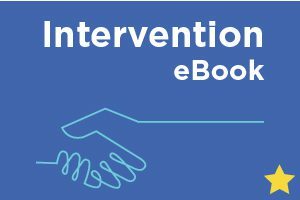 You can never be too safe or speak up too soon – even if you think they’re just “experimenting.” Download the Intervention eBook, our comprehensive guide to taking the first important steps to address your child’s drinking or drug use.